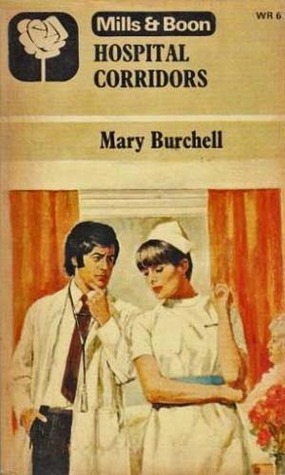 Richmond UK: Mills & Boon, 1976, c1958. A second Burchell that I've just finished is also up for a review -- but this time, not because of its social criticism and exploration of post-war values. No, this time it's because I was vastly entertained to discover that this book was set mostly in Montreal! And I started to wonder if Burchell has been hired by the Canadian Tourism Board for this little travelogue ;) There is a lot of rhapsodic description of the setting, as Nurse Madeline arrives from England to Quebec City, then makes her way to Montréal, and encounters rich Anglo weekends in the Laurentians, country drives to small Quebec towns, a view clear across to the the USA on a clear day from the Lookout on the Mountain, and even a dinner at Ruby Foo's. The descriptions are delightful, and I could pretty much identify the huge "Dominion Hospital" she works at as the Royal Victoria. And the hotel at which she meets her upper crust English suitor -- for dinner only! -- must be the Ritz Carlton. The story is fairly predictable though the depiction of Madeline and her fellow young nurses is entertaining and lively. The plot: Madeline's half-sister Clarissa meets a Canadian doctor in their English setting in the mid-50s -- she tells Madeline and their mother Enid that she will likely marry him, so they should all start thinking about moving to Canada together. Madeline, a trained nurse, discovers that there is a training program available for English nurses to work a year in Montreal, so she applies. Then Clarissa throws over her doctor, but Madeline determines to go forward with her own adventure anyhow. And meets a mysterious, handsome doctor on the ship over, who of course turns out to be the one and only jilted almost-brother-in-law. "Stop here for a while, Nat,"she said softly. "I want to look at my little bit of Canada." He stopped immediately, humouring her, and together they looked out over the darkening city. "It's beautiful," she said half to herself. "It's beautiful, and now it's my home." "It's only one corner of your home, my darling," he assured her. "All the years and all the miles are there for us both. From ocean to ocean it will all be your home. Together we'll watch the sunrise in the Rockies, the water come swirling down Kicking Horse River, and the mists clearing from the Valley of the Ten Peaks. You haven't seen more than the smallest beginning of it yet." "I know. It's so vast one can't quite imagine it even now." She smiled slowly. Then musingly she said, "Canada. They call it the land of the future, don't they?" "They do. And perhaps they're right." He smiled too then. "At any rate, it's the land of our future." Then he started the car once more, and they drove at their own pace back to the hospital, secure in the knowledge that tonight, not only Canada, but all the world was theirs. After that Tourism Board Approved™ conclusion, all I could think of was this.I hope you enjoy! Wow! With all that love for Canada I'll understand if you count it in the Canadian Book Challenge! Wow! Much more geography than I remember from reading these many years ago. I would remember if I’d come across this one. You definitely would. It's really as if the Canadian Immigration Board paid her to write it, haha! Oh, I'd love to find this one. Mary Burchell and her sister are heroes of mine, having read Safe Passage a few years ago. Although they travelled to the US (and of course Europe) a fair bit, I don't remember any Canadian portion in their autobiography. It almost sounds like she based it on a specific trip, doesn't it? Aren't they wonderful? I just love them both. This one does sound like it was based on a trip, and I've noticed brief mentions of French Canadians and/or Montreal concerts in some of the Warrender books so I keep meaning to go back to the memoir and see if there is any mention of Canada there. I haven't read any of Burchell's work yet but it sounds captivating. Wonderful review! Not all of them are quite as good as her best ones but I do really enjoy her, and as Susan said above, she was a person to be admired.